wind whistling through their bones. to have a roof of stars. 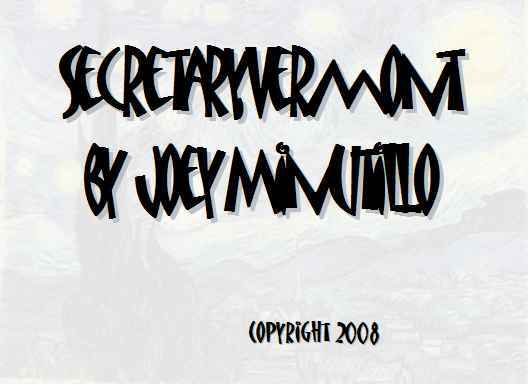 Copyright 2008, Joey Minutillo. © This work is protected under the U.S. copyright laws. It may not be reproduced, reprinted, reused, or altered without the expressed written permission of the author. Joey Minutillo graduated in 2008 with a Bachelor of Arts in Creative Writing from Ball State University. His work can be found in Literary Tonic, Writing Outside the Margins and was one of the editors in The Broken Plate, Ball State's Undergraduate literary magazine. He has literature forthcoming in No Posit Volume 3. In December 2007, Joey released his first chapbook, New Ancillary Barbarism and is currently working on a new chapbook which is due out in July. In his free time, he enjoys Volkswagens, collecting video games, film theory, and professional baseball.